Share the post "Flickering Light"
I’ve lived in Panama for less than a month, and I’ve already become quite familiar with its celebrated golden frog. The little guy is all over t-shirts and postcards and souvenirs. He’s stamped on lottery tickets and grinning above the entrance to the aptly-named “La Rana Dorada” restaurant in downtown Panama City. Archaeologists have even discovered ancient gold relics sculpted in the shape of tiny amphibians. I asked both locals and scientists what the frog means to them; why you see its iconic face everywhere. 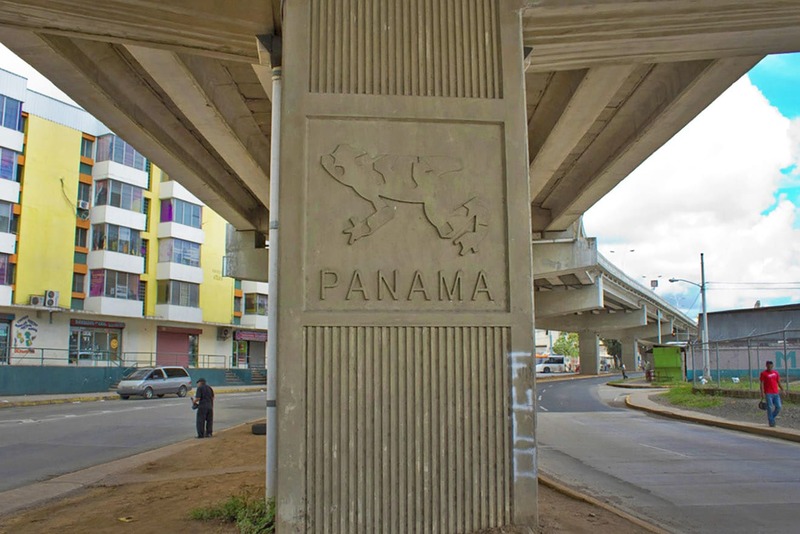 “We’re taught in school that it’s a symbol Panama’s biodiversity,” journalist and entrepreneur Alfonso Grimaldo said. “It’s a natural light; a reminder that the earth is sacred,” said agriculture student Ericka Quiroz. “They were everywhere when we were kids; we used to catch them from the drain pipes,” designer Ani Dillon recalled. Known for its striking day-glo coloring and the adorable waving motion it makes with its webbed hands, the golden frog represented hope and resilience and the enduring power of life for generations of Panamanians. But now, it signifies just how delicate that life can be. It’s been extinct from its natural habitat since 2007. Over the course of the past decade, a deadly fungus, which originated in Mexico and spread south through the rest of Latin America, completely wiped out most of the earth’s population. Mendelson is part of a consortium of zoos and research centers determined not to let the creatures die out completely. 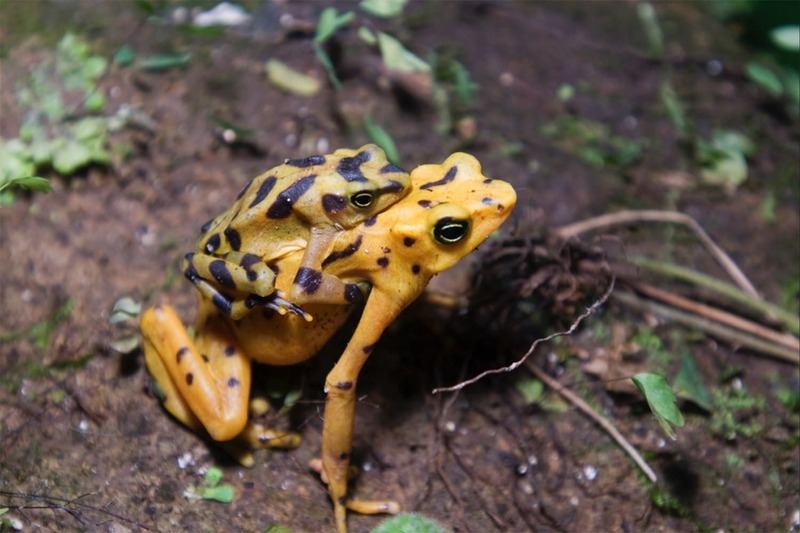 The golden frog played an important role within its ecosystem in the rainforests of Panama and Costa Rica. Tadpoles sucked up invasive algae from streams and rivers, keeping the water’s oxygen content at balanced levels. Adults served as a hearty food source for snakes and other predators. They also gobbled up insects, which helped protect crops and limited the spread of certain diseases. Mendelson added that the frog’s disappearance from its natural habitat serves as a grave reminder of the impact humans can have on the environment, as global trade forces undoubtedly contributed to the spread of the fungal disease. Frogs are known as an “indicator species,” since they’re one of the first to be impacted by human behavior, signaling more destructive events in the future. Zoo Atlanta, where Mendelson works, is part of a coordinated effort among groups of conservationists throughout the United States and Panama to bring back the frog. These scientists are breeding them in captivity and sharing their findings with one another in the hopes that they’ll eventually be able to safely reintroduce the species back into the wild. Meanwhile, other experts are scrambling to determine a way to eradicate the deadly fungus from their habitats. Still, Mendelson and his colleagues firmly believe that a collective shift in environmental consciousness will allow for their efforts to ultimately prevail. 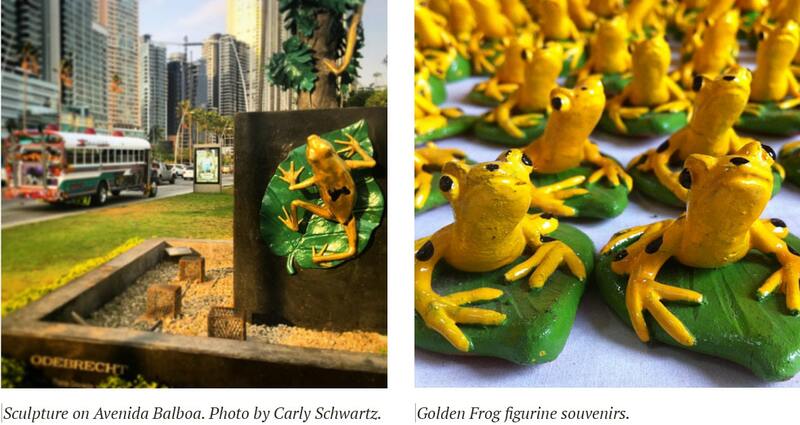 Learn more about the collective effort to save the golden frog here. Photos courtesy of Flickr creative commons. This article originally appeared on The Huffington Post.